This half term the children have been trying to improve their fluency in Maths and English by improving their times tables, calculations and spellings knowledge. 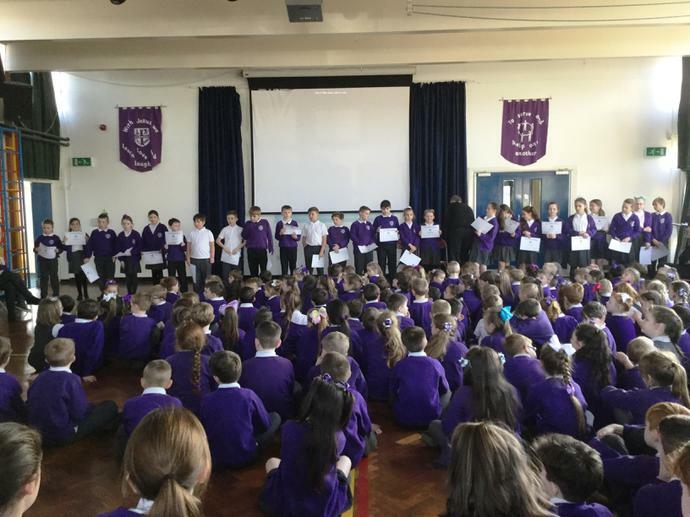 We held a celebration assembly on Friday 23RD February and certificates were awarded to the children who improved their score and reached their target. Well done to everyone.